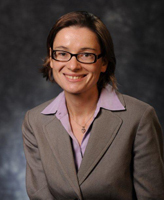 Monika Nalepa, assistant professor of political science at the University of Notre Dame, has been named a winner of the 2011 Best Book Award from the American Political Science Association’s Comparative Democratization section for "Skeletons in the Closet: Transitional Justice in Post-Communist Europe" (Cambridge University Press). The book examines the strategies behind decisions on whether and how to penalize members of the former authoritarian regimes in Poland, Hungary and the Czech Republic as they transitioned to democracy. 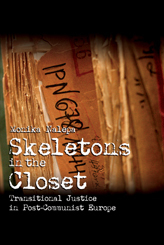 In the book, Nalepa draws on archival evidence, statistical analysis and extensive interviews to support her argument. Sharing the award with Timothy Frye, the Marshall D. Schulman Professor of Post-Soviet Foreign Policy at Columbia University, is also a point of pride, she says. Frye was named co-winner for his book “Building States and Markets After Communism: The Perils of Polarized Democracy” (Cambridge University Press).